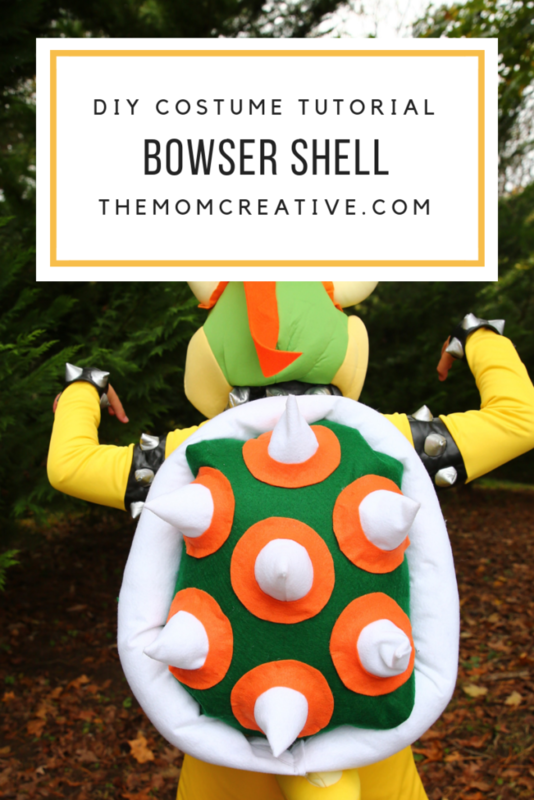 If your child wants to be Bowser for Halloween, this DIY shell will make the costume extra amazing. 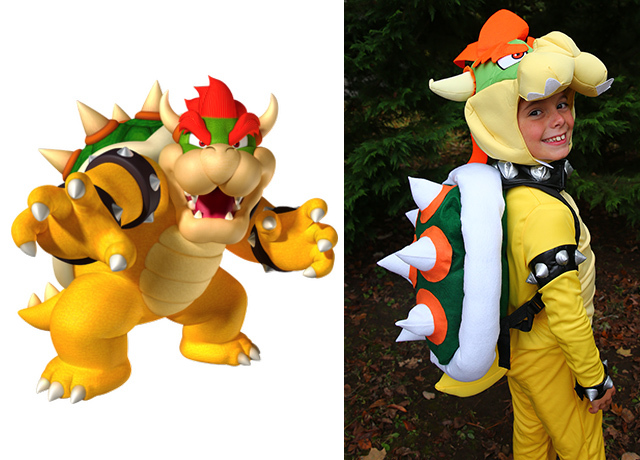 I decided for my son Elias to buy the Bowser costume and headpiece, (we bought the adult head for my nine-year-old because the child one was very small and the costume came with a pretty uncomfortable plastic mask) but DIY the shell because the shell that comes with the costume is absolutely terrible. It’s small and pales in comparison with the giant shell that Bowser is known for. 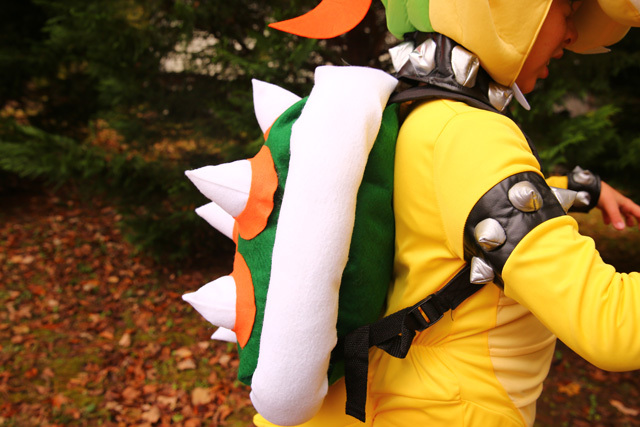 I researched A LOT of DIY Bowser shell tutorials and photos including this one, this one, and this one. I ended up developing my own after not finding what I was looking for. I am not an advanced seamstress and didn’t want to invest the amount of time some other shells clearly required. 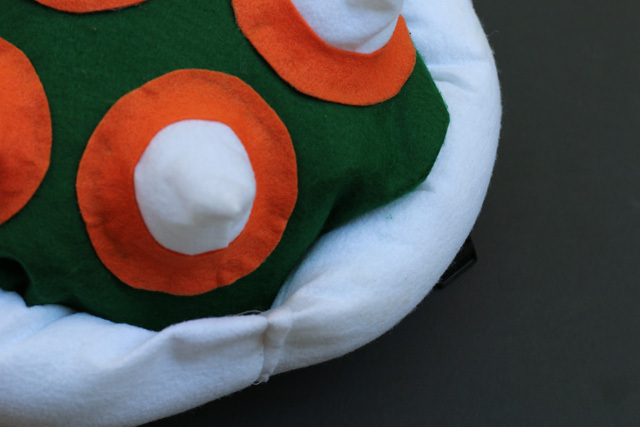 This shell came together very quickly and requires the tiniest bit of sewing. I have provided modifications if you are not a sewer. I’m sorry I don’t have a ton of process photos, but that is because I made this mostly at night. 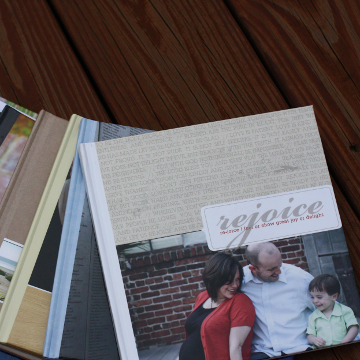 Hopefully the detail shots will make it easy for you to see. To make the shell, first fill the backpack with fill. I recommend looking for a cheap backpack on clearance. 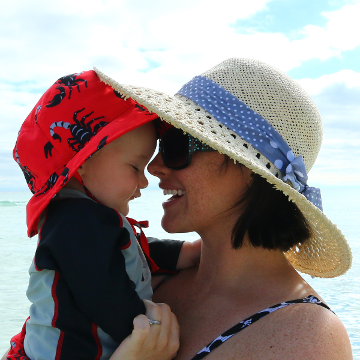 It’s the perfect time of year for that – mine was a plain, $2 black backpack from Walmart. Make sure the straps are a solid neutral color. You do not want to cover the backpack first because it will expand when it is filled. I covered the front first, making sure to wrap the covering to the back, and pinning it in place. I then hot glued it tightly to the backpack. I then cut enough felt to cover the back, only because I didn’t want there to be any black from the backpack showing. Next, I tackled the spikes. First, I cut orange circles. I cut seven because that is what fit well on the backpack. 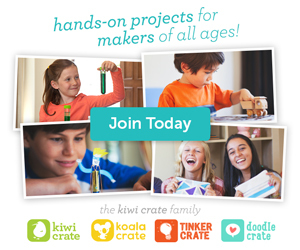 An adult could fit more, or you could make them smaller. I cut a circle out of the center of each circle to slip the cone through. This enables you to not have to sew the cones on – hooray! 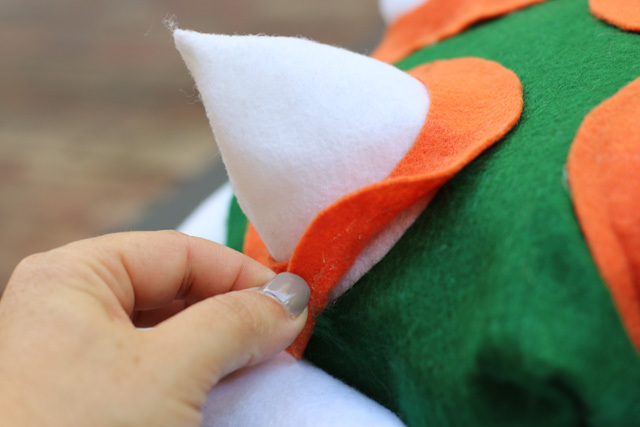 I then cut white felt cones using this tutorial. I sealed the side with hot glue. Then I slipped the cone in the circle and glued the edge of the white to the backside of the circle. Then I glued the orange spiked circle on the backpack. 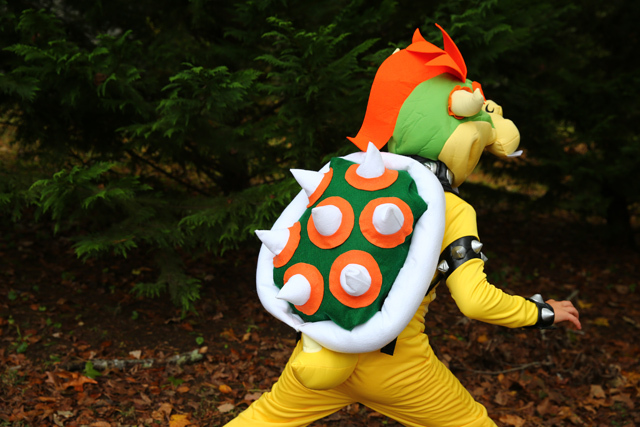 Now, the hardest part of making this costume is the white edge of Bowser’s shell – and it wasn’t that hard. 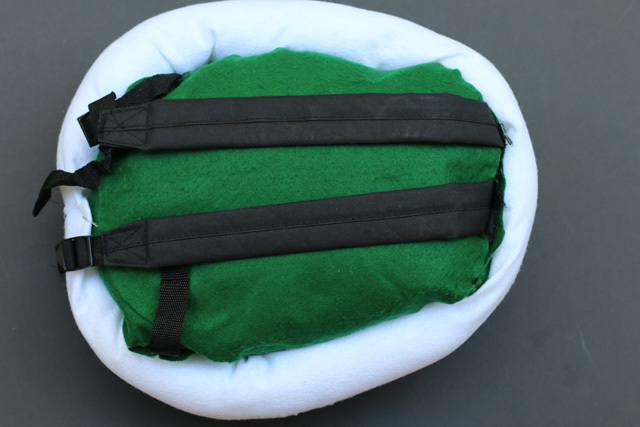 I cut the felt to make a tube to go around the backpack. 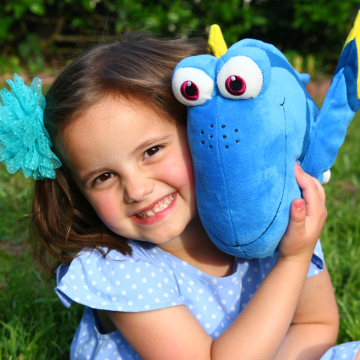 I sewed the seam inside out, but if you don’t have a sewing machine you could easily use stitch witchery. Then I turned the tube the proper way, filled it with fill, put one end inside the other and sewed it shut. You could pin it if you didn’t want to sew. Then, I wrapped the filled circle around the edge of the backpack, hot gluing it to the backpack shell. That’s it. Making the spikes is a bit tedious, but it is an easy project overall. 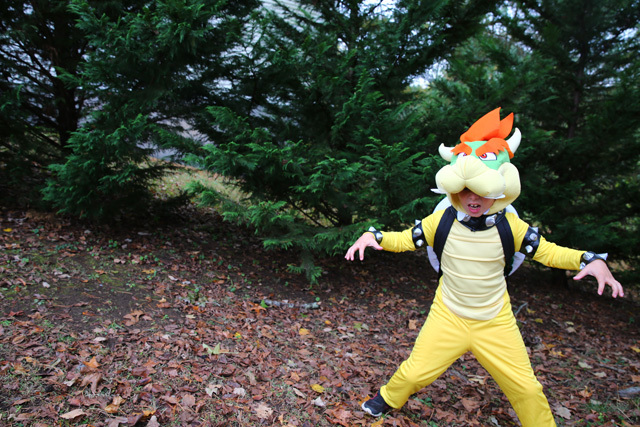 People loved Elias’s Bowser costume, especially the shell. It really made the costume go from ordinary to extraordinary. 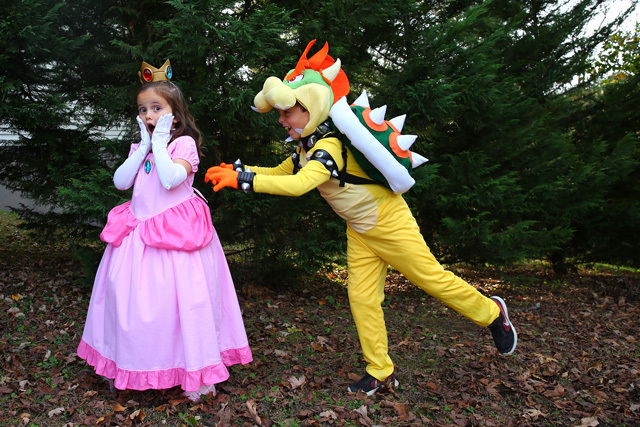 I hope costume tutorial this helps you make an awesome Super Mario Bros. King Koopa/Bowser costume shell. 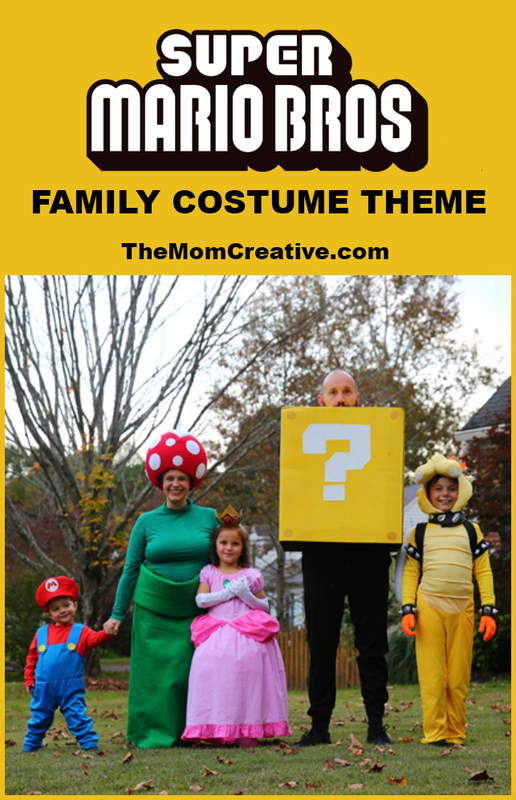 For more Halloween inspiration, check out our Super Mario Bros. Family Costumes. 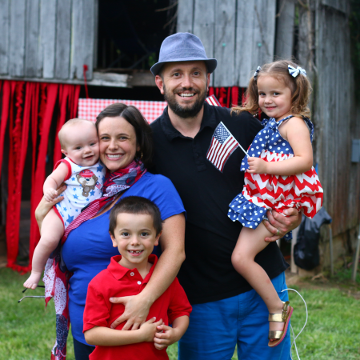 For other family themes, check out our Red Riding Hood, Alice in Wonderland and Wizard of Oz family costumes. 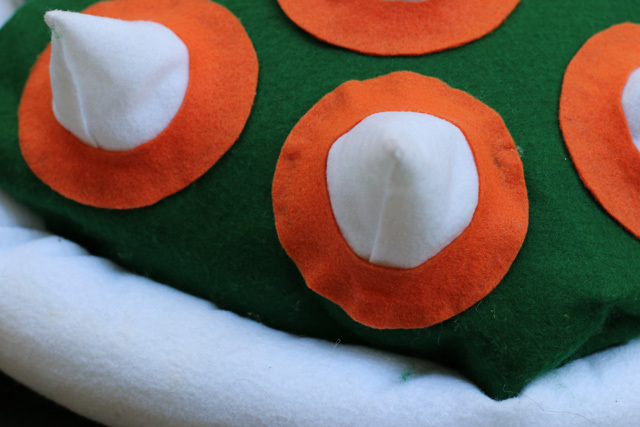 Next article: Costume Tutorial: Venus Flytrap + Pipe from Super Mario Bros.